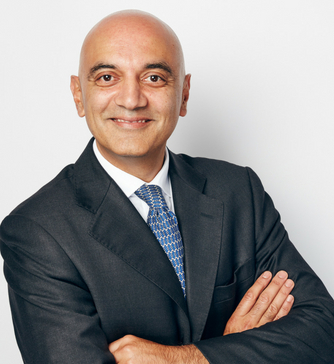 Mr Arvind Vashisht is a Consultant Gynaecologist, with a private practice and who has an NHS base at the teaching hospital, University College London. He is the managerial lead for Gynaecology services and runs general gynaecology, endometriosis, urogynaecology, and postnatal pelvic floor clinics. His ethos is to deliver excellent, specialist, patient-centred care. Mr Vashisht has a particular clinical expertise in the treatment of benign gynaecological conditions including pelvic floor prolapse, urinary incontinence, endometriosis, hormonal, menstrual and postnatal problems.He is a specialist in vaginal and laparoscopic surgery and runs national workshops in laparoscopic, endometriosis and urogynaecological surgery. He enjoys ongoing research and educational interests. He sits on national committees in his specialist fields, and he is a council member of the British Society for Gynaecological Endoscopy (BSGE), as the current Chair of the Endometriosis Centres. Mr Arvind Vashisht undertook his medical undergraduate training at the University of Cambridge, completing a tripos in social and political sciences and was awarded his clinical degree with distinction in Obstetrics and Gynaecology from the Royal London Hospital Medical School. He started his training at the Chelsea and Westminster Hospital, with subsequent specialist registrar training in the North West Thames region. He went on to gain a urogynaecology fellowship at St.George’s Hospital, London and then completed a two year fellowship at University College Hospital, London becoming subspeciality accredited in Urogynaecology. He has been awarded an additional doctorate (MD) degree from the University of London for work on natural hormonal treatments for the menopause and has published numerous peer-reviewed papers, reviews and book chapters. He has presented his research work at many national and international meetings. He is an honorary senior lecturer at UCL and is the supervisor for research fellows undertaking higher degrees and both UK and international visiting clinical fellows at University College Hospital. He is an expert opinion in medico-legal cases within his speciality.